Tired of the same old be mind valentine message? 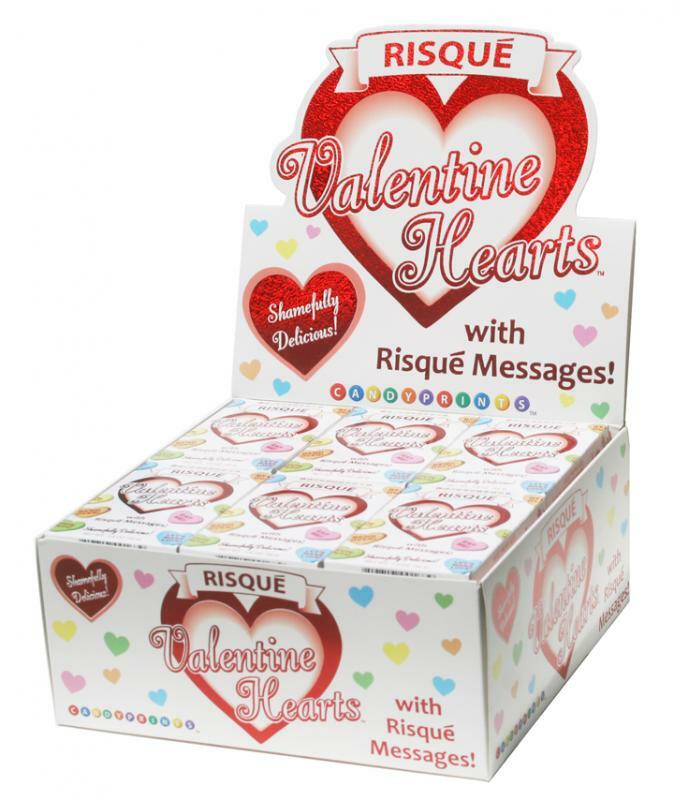 Be the first on your block to get Valentine Candy with X-Rated and Risque Messages! And, we mean X-Rated! And, Risque! Hot enough to ignite a little romance in the hearts of your loving customers! Our attractively boxed, bagged or individually wrapped candy is just what you need!